Dr. Allan S. Mohr graduated from the New York University College of Dentistry in 1983. He opened his private practice here in Massapequa Park, NY in 1986, placing an emphasis on providing cosmetic dentistry, restorative dentistry, and implant dentistry. Since then, he has worked diligently to refine his skill-set every year by attending countless hours of continuing education, including completing coursework at two of the most well-known postgraduate training centers in all of dentistry: the Dawson Academy and the Pankey Institute. He has lectured extensively at local and national meetings on topics ranging from esthetic dentistry to conservative restorative dentistry. As a longtime member of the local community, Dr. Mohr enjoys getting to know his patients and maintaining generations of healthy, beautiful smiles. Now, he is considered to be one of New York’s and America’s Top Dentists by patients and peers alike. "Great dentistry is the result of creating a vision for our patient and helping them see their world differently." Throughout the year, Dr. Mohr attends many continuing education seminars to stay up to date with the latest advances in dentistry. 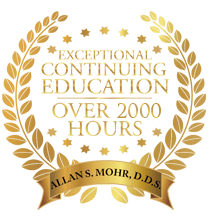 In fact, Dr. Mohr has achieved over 2,000 hours of continuing education, far more than what is required. In New York state, a dentist needs to take 60 hours over 3 years to renew his license. Dr. Mohr does 60 hours every year! He sees the importance of continuing education to help provide the highest level of service to his patients. 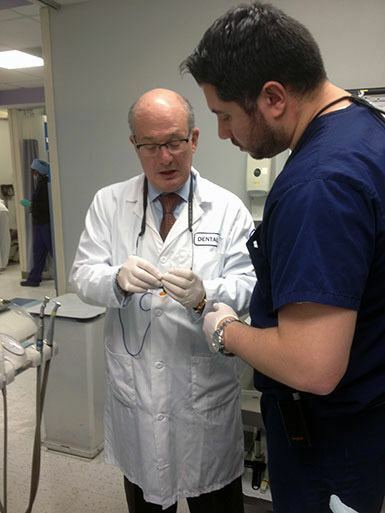 Dr. Mohr teaching one of his Jamaica Hospital Medical Center Dental resident students. He has also spent time at two of the most prestigious centers for advanced education in the world: the Pankey Institute and the Dawson Academy. They are both renowned postgraduate educational centers where dentists from around the world can study new techniques and materials as well as methods for creating a well-balanced bite. This knowledge allows Dr. Mohr to create beautiful smiles that function naturally and last long-term. In addition to maintaining his private practice, Dr. Mohr is more than just a dentist — he is also a mentor. 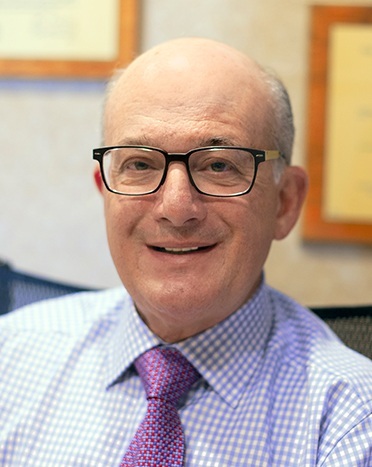 Dr. Mohr has served as the Section Chief in the Department of Cosmetic Dentistry at the Jamaica Hospital Medical Center Residency Program since 1996, and he received an Excellent Educator rating from the 2011 graduating residents. The 2016 graduating residents awarded him with a Superior Educator rating, the hospital's highest ranking for clinical instructors. In their words, "His passion for what he does makes learning enjoyable and easy. In a world where people lose sight of trying to educate residents (due to patient volume), he truly looks to teach at all times." Dr. Mohr also serves as a Clinical Associate Professor in the Department of Dentistry at the University Hospital in Stony Brook, New York. For years, he has been considered one of “America’s Top Dentists” by the Consumers Research Council of America. 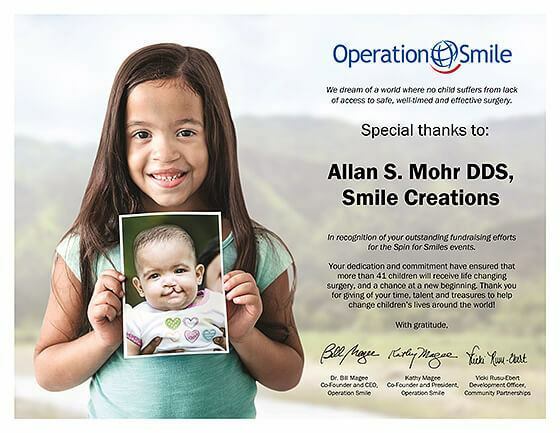 Devoted to the Massapequa Park community, Dr. Mohr volunteers his time with the “Give Back a Smile” program, which was founded by the American Academy of Cosmetic Dentistry. Since 1999, the program has helped over 700 victims of domestic abuse receive a new lease on life with pro-bono dental work. You can read an article about it here. “Over the past 34 years, I have been fortunate to create many beautiful smiles for my patients, which has changed their lives forever. From raising their self-esteem, career enhancement, to even marriage. But there are less fortunate children who are born with oral facial defects that not only prevent them from getting proper nourishment, but also lead them to being rejected socially. 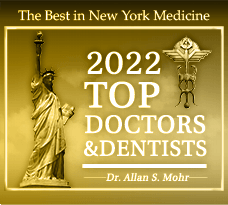 Congratulations to Dr. Allan Mohr… Voted by Peers as a topDentist in Cosmetic Dentistry for over 10 years! topDentists has over fifty years in combined experience compiling peer-review referral guides in the legal, dental, and medical fields. Using this experience, along with the input of several prominent dentists in the United States, they have created a selection process that has been refined and improved over previous superlative guides. 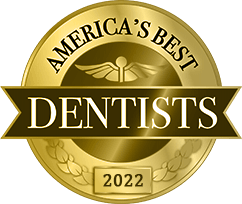 Because dentists must be voted in strictly by their peers and virtually every dentist is given an opportunity to participate (listings cannot be purchased and no payment is required to be listed), inclusion in topDentists is considered to be a distinct honor. 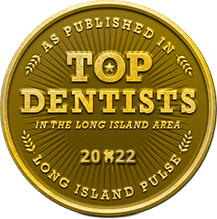 With a circulation of over 1 million and reaching nearly 10 million readers, topDentists is quickly becoming the most recognizable list of dentists in the U.S.
Dr. Allan S. Mohr has been continuously voted by his peers for over 10 years as a topDentist in Long Island and Massapequa Park for his exemplary skills in cosmetic, restorative and implant dentistry.